Speaking of hard times, when we moved upstairs in April of this year, we had four shelves in a kitchen cabinet and counter space to use as storage. No drawers, no doors to our shelves. 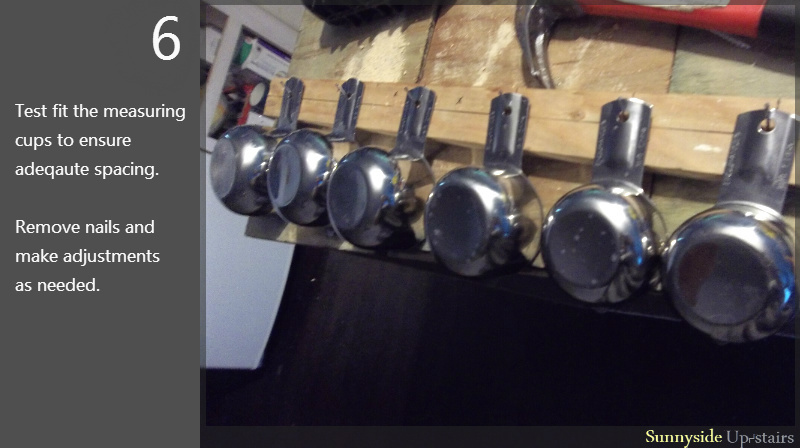 We needed a place to store our cooking measurement tools so we could find them and use them readily, so I made two simple and inexpensive organizers. I finished this project in a couple of hours, just as the sun started to set as I snapped this photo. If routing or boring a shallow hole is not an option, I would recommend super gluing the magnets to the back of the 1x2. 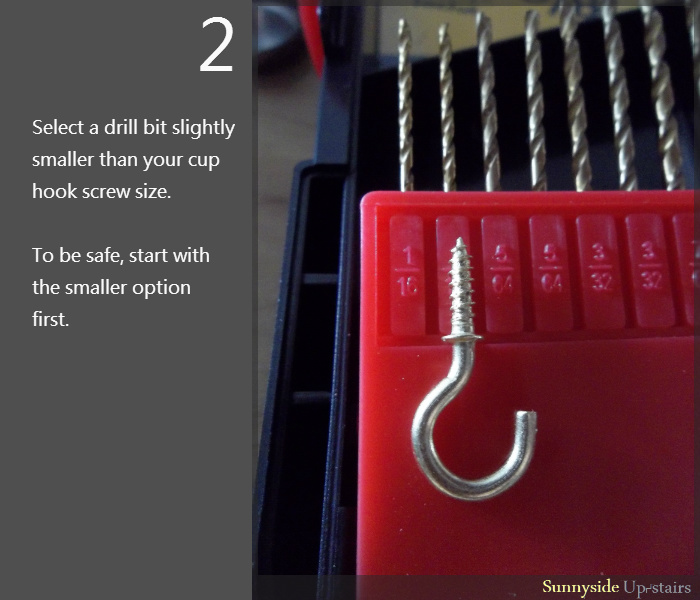 It's a simpler option, and as long as the magnets hold, you will not have to worry about setting them level. I love having these, and I've left them just as they are until I could make some color decisions in our kitchen. I've decided to keep the natural wood tone, sand this piece and apply 3 coats of Minwax Polycrylic to seal and protect it. Great idea! 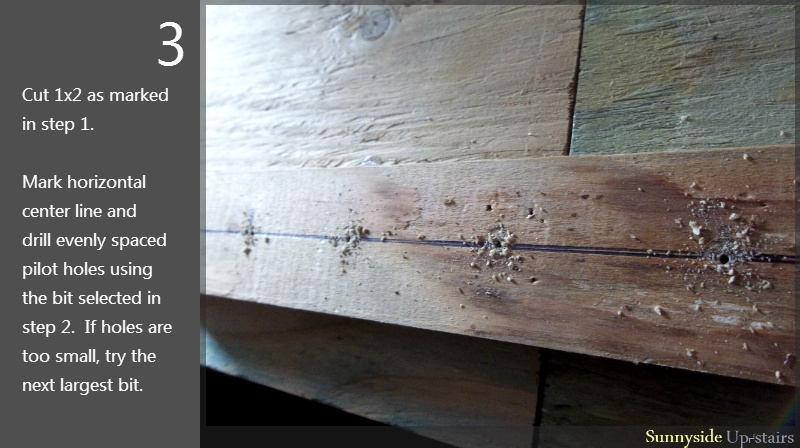 I have bookmarked this post and plan to make something like this. 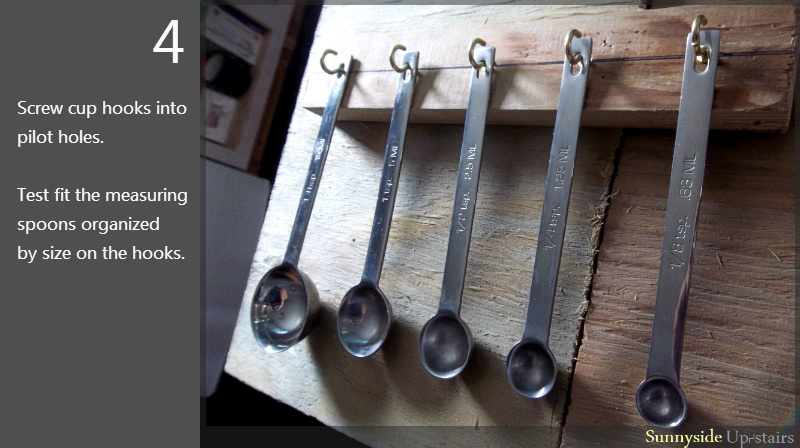 Just ordered some new spoons and cups. I use these all the time, and it will be nice to have them easy to access. Thanks for sharing. Thank you for your comment, Melanie. I hope the photos of my process help you when you make your own set. 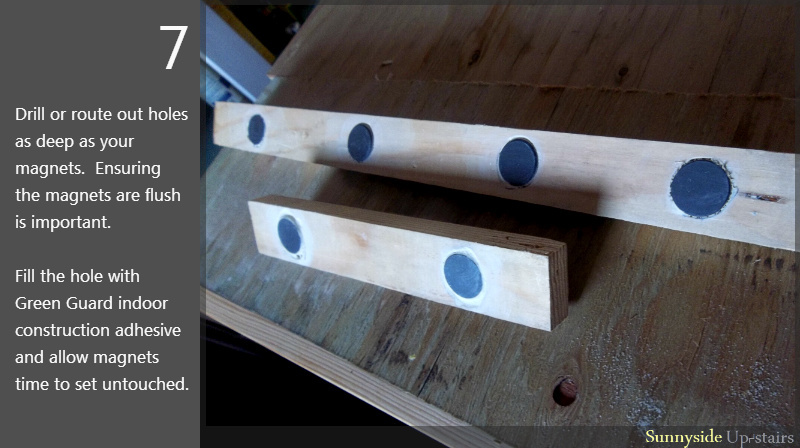 :) The hardest part was routing holes for the magnets. 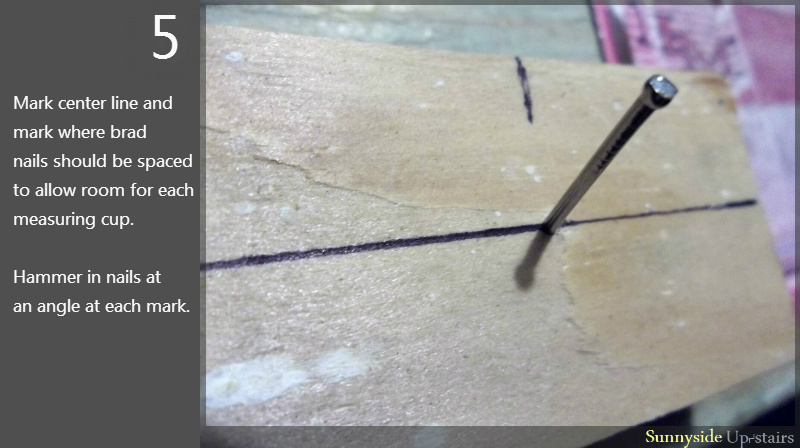 It may work to just glue the magnets to the wood, as well. If not, please feel free to contact me, and maybe we could problem-solve together. This is so cool! 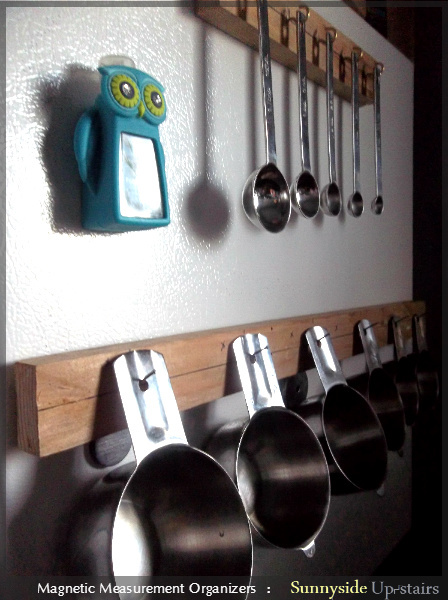 I have metal measuring cups and spoons and would love to do something like this, but for some strange reason there are no holes in my measuring spoons so I can't hang them. Susan, I've been trying to think of other options for you. 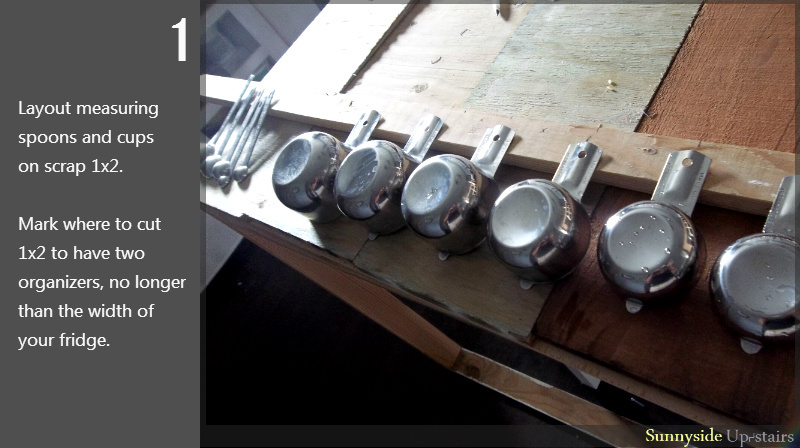 You could make a magnetic caddy, but you would still have to search for the spoons within that caddy. 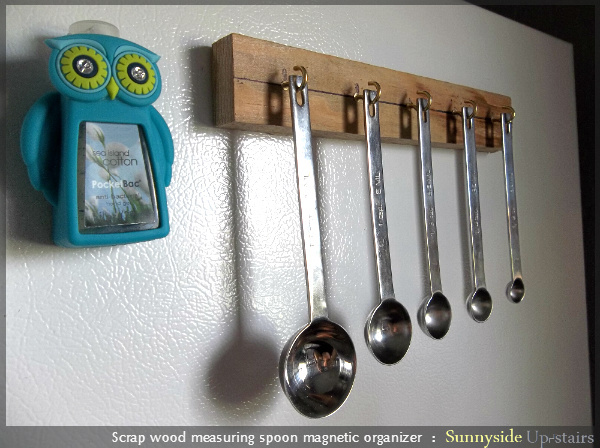 If you are comfortable adding magnets to the spoons themselves, that might be another possibility. Thank you for your comment! Cool idea! I hate having my measuring cups float around in my drawer! I can never find the one I need!! Thanks for your comment, Kendra. :) These little racks have really helped me, especially because I'm cooking in a partially complete kitchen. I was concerned that I would lose one, but I actually can visually keep track of what's missing and am able to return it to my rack right away. It also helps to have it between our sink and refrigerator. Makes prep. a little easier for me.